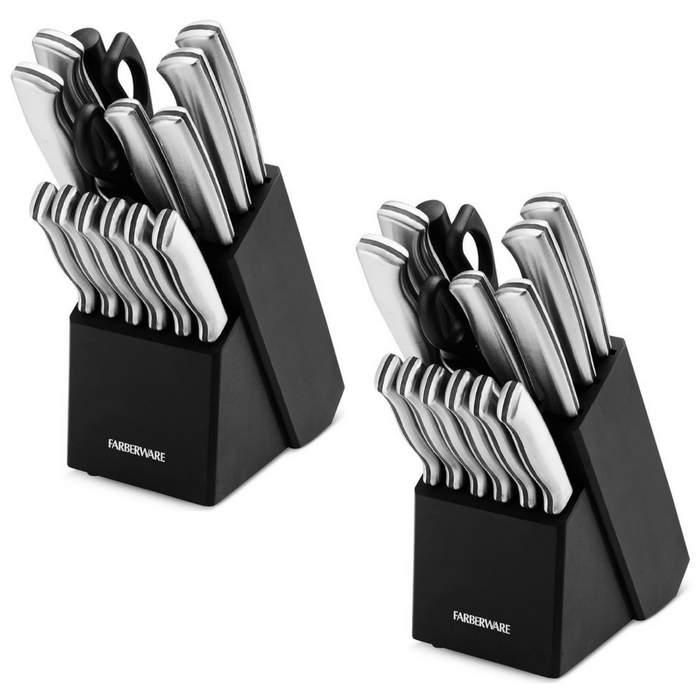 Farberware 15-Piece Cutlery Set Just $27.99! Down From $70! You are here: Home / Instagram / Farberware 15-Piece Cutlery Set Just $27.99! Down From $70! This Farberware 15-Piece Cutlery Set is now on sale at Macy’s for just $27.99 down from $69.99 when you use promo code FRIEND at checkout PLUS FREE shipping for orders $99 and above! Your kitchen is equipped for a range of prep work with this 15-pc. knife set from Faberware. With the 6 steak knives included, you’re ready for company, too. This is perfect for personal use or a Christmas present! Hurry before it’s too late!